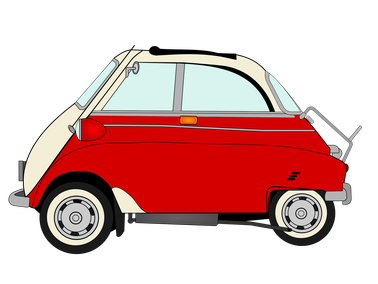 The first BMW Isetta appeared in April 1955. It was a BMW-modernized Italian Iso Isetta, the main design elements of which remained intact, but the car was radically modernized, and the front suspension was also changed. On BMW Isetta installed a more reliable, single-cylinder four-stroke engine M240 built on the basis of the power unit from the motorcycle BMW R25 / 3. Although the style is preserved, but it differed from the Italian model headlights that were installed separately on the sides of the body and it had an installed BMW logo under the windshield. In October 1955, the BMW Isetta 300 was introduced. In the engine, the engineers increased the cylinder diameter to 72 mm and the piston stroke to 73 mm, which gave a volume of 298 cc, while at the same time they increased the compression ratio from 6.8 to 7.0: 1. Thus, the engine now produced 13 hp. at 5200 rpm, and the torque rose to 18.4 Nm at 4600 rpm. The maximum speed remained the same 85 km / hour. Depending on the modification, the average fuel consumption was from 3.5 to 5 liters per 100 kilometers. 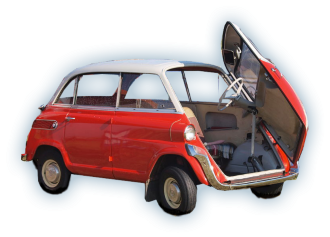 A small number of BMW Isetta cabriolets with a folding roof instead of the rear window, a version for the tropics with ventilation slots in the front door and BMW Isetta for carrying loads with a removable tray in place of the rear window were made on special order. The export version of the BMW Isetta was delivered with modified headlights, reinforced spars and bumpers. 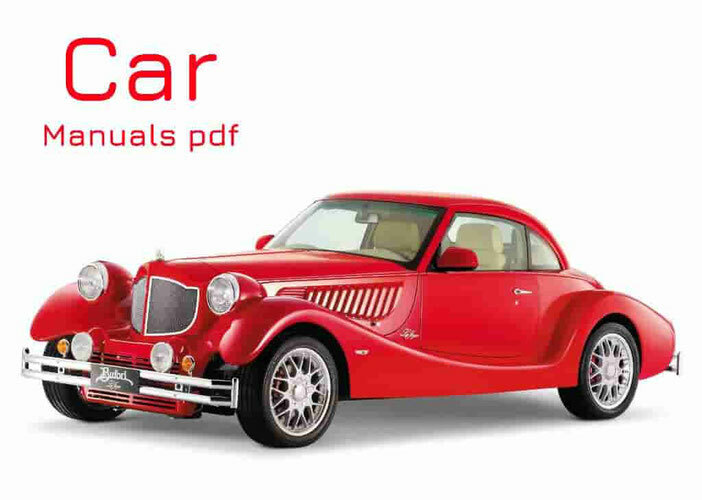 The 3-wheeled vehicle was manufactured under license in the UK, France, Spain and Brazil. To be able to satisfy the growing demands of drivers of minicar cars, in 1957 a "big Isetta" - BMW 600 was developed. In May 1962, BMW ceased production of the BMW Isetta. In total, 136,367 units of these small vehicles were built at the plant in Munich, excluding the supplied component parts (25,361).